"Where the Hudson Meets the Nile: Teaching Coptic Liturgical Chant in Jersey City", a short documentary film by Christian Jara and Margot Fassler, Fellow of the Medieval Institute. 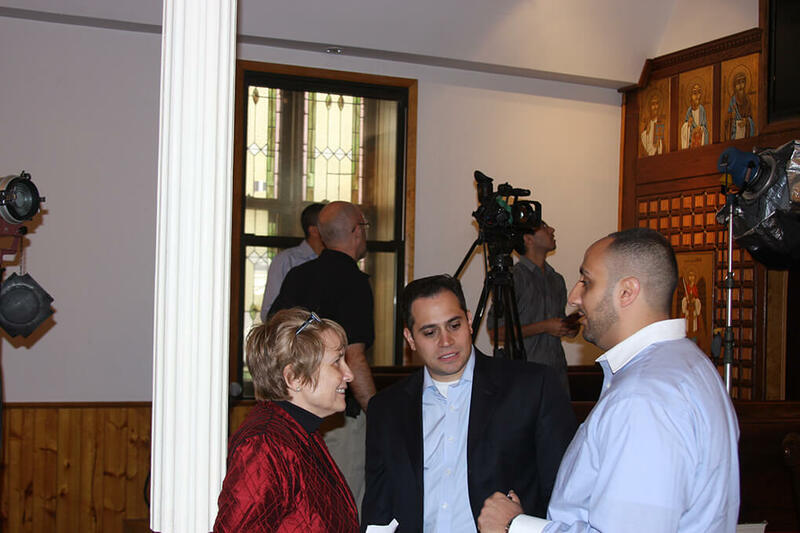 The film explores the ways chant has been taught at St. Mark’s Coptic Orthodox Church in Jersey City by singers David Labib and Steve Soliman with attention to the place of the music in the formation of communal identity. Filmed over several years, the work enters into teaching practices within a completely memorized oral tradition developed by the singers to encourage children and youth to learn a vast and highly complex repertory of melodies. Their traditional method prepares children for roles in the church of the future as congregants, as deacons, and as future monks and priests. The Coptic Orthodox Church has grown exponentially since the 1960’s when St. Mark’s in Jersey City was founded. There are now nearly 200 Coptic churches and two monasteries in the United States, and their chant tradition is central to the liturgical practices and institutional lives of these establishments. The teaching skills displayed by Labib and Soliman in their work include breaking down melismas to their simplest components, developing personalized systems of “notation” to trigger thememory, comparative study of master chanters, and mastery of the Coptic texts so the singer understands what is being sung and can pray while singing. The film concentrates on several stages of learning, with an emphasis on the use of technology both within the service and for personal and group study. Commentary on footage of the music and liturgy is provided through a filmed conversation between musicologist Margot Fassler, an outsider to the tradition, and Bishop Kyrillos (Formerly Fr. John Paul Abdelsayed), a theologian and auxiliary bishop in the Coptic Orthodox Diocese of Los Angeles. Originally published by Matt Haines at sacredmusic.nd.edu on April 12, 2017. Modified by Brandon L. Cook on April 25, 2017.